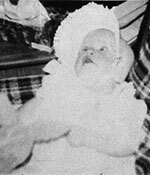 The 1987 missing person case of Patricia Ann Wood. Patricia Ann Wood, born in 1972, disappeared from her home in Swanzey, NH some time around 1976. Her disappearance was not discovered by authorities until 1987, at which point it was determined that she had been missing for 11 years. Wood was last known to be living with her father and step-mother in Swanzey. Despite a thorough investigation, Wood has never been found. The circumstances surrounding her disappearance are very suspicious.